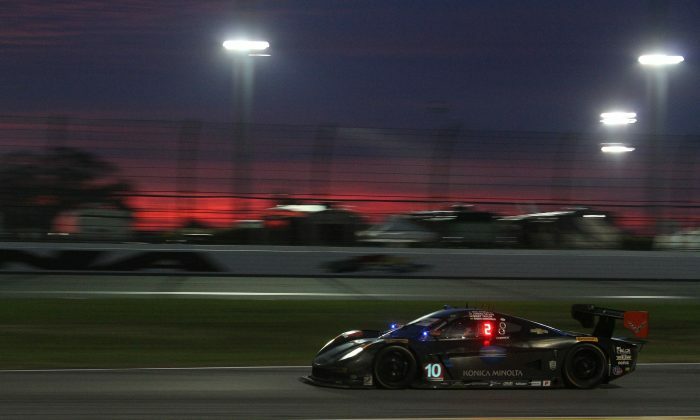 DAYTONA BEACH, Fla.—The 2016 WeatherTech Rolex 24 at Daytona has entered its final eight hours, and it is still a race. 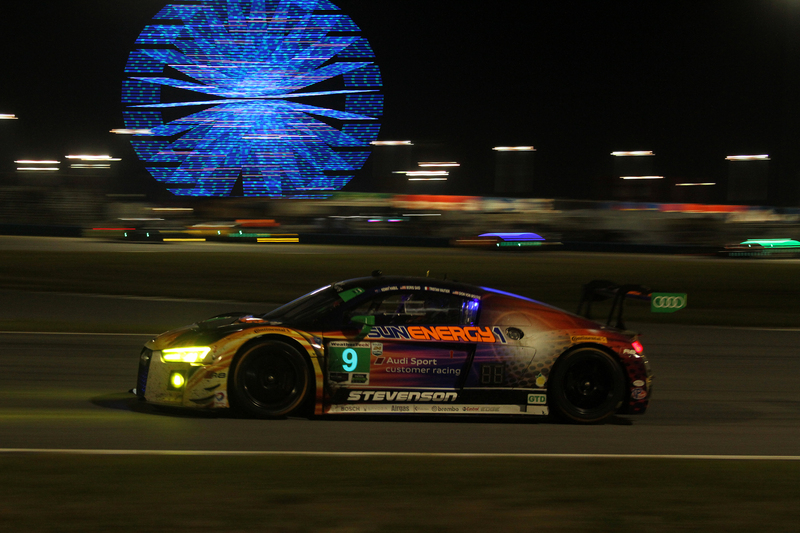 Some endurance races get to be less than compelling as they enter the final quarter or third; the cars are so spread out, separated not by lengths but by laps, that the only interest comes from waiting to see who will break or wreck. Not so with this year’s Rolex: the top three are only a few seconds apart. 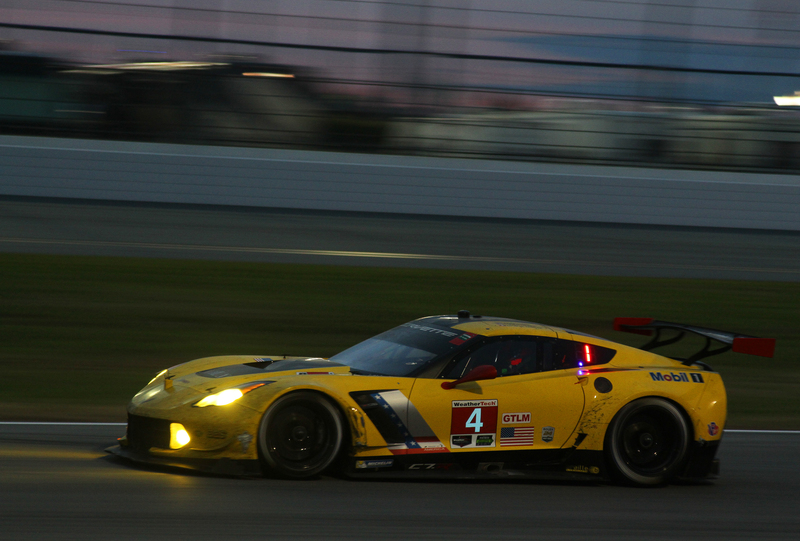 The fourth- and fifth-placed cars are only a few seconds apart. Christian Fittipaldi in thre #5 Action Express Coyote-Corvette held a lead but barely, with Luis Felipe Derani in the 2 ESM Ligier-Honda trying multiple passes per lap, while Jordan Taylor in the #10 WTR Dallara-Corvette lurked a few lengths behind, waiting to capitalize on any mistake. Update: Derani got by into the lead at 8:48 a.m. Taylor immediately started testing Fttipaldi, looking to get by and pursue Derani. 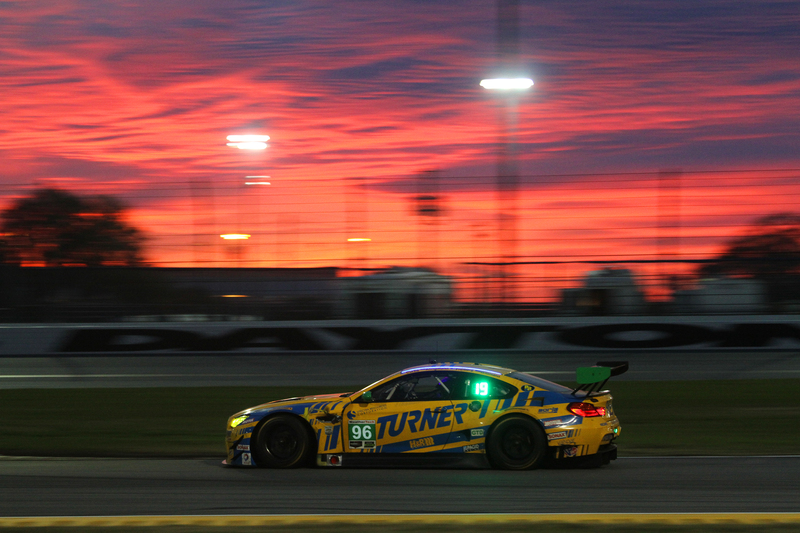 The fierce fighting in GTLM has eased off a little. The top six are on the same lap, but no longer lapping nose-to-tail; they have calmed down some and are just logging laps, waiting for the afternoon when the final sprint begins. 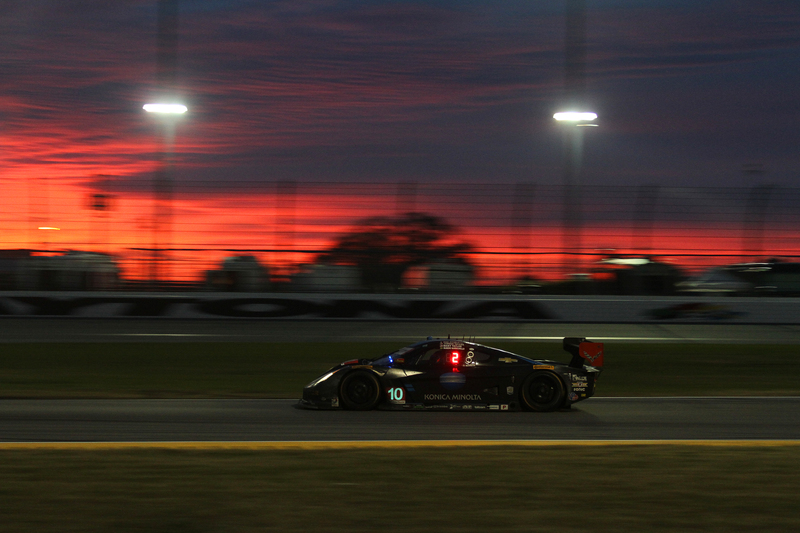 Kevin Estre in the #911 Porsche RSR leads Tom Milner in the #4 Corvette and James Calado in the #72 SMP Ferrari. 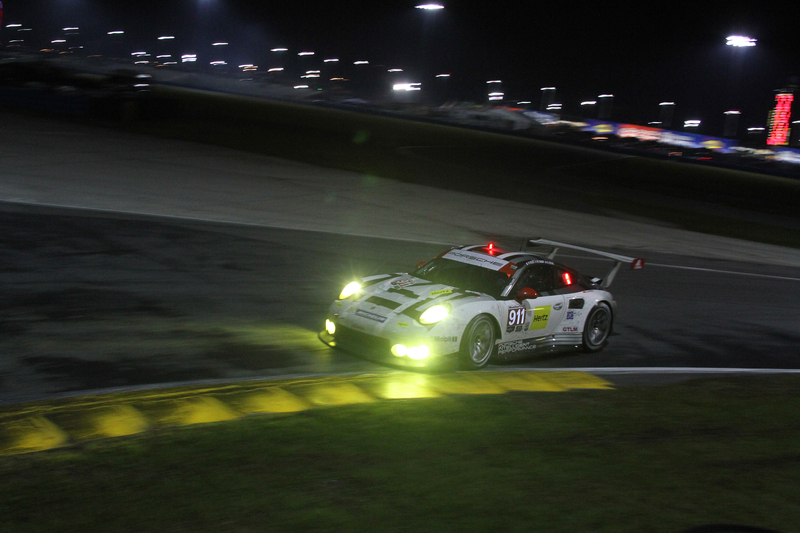 UPDATE: After a caution at 8:30 closed up the field, the full-on fight resumed with the two Corvettes and the #912 Porsche swapping spots at the head of the class. 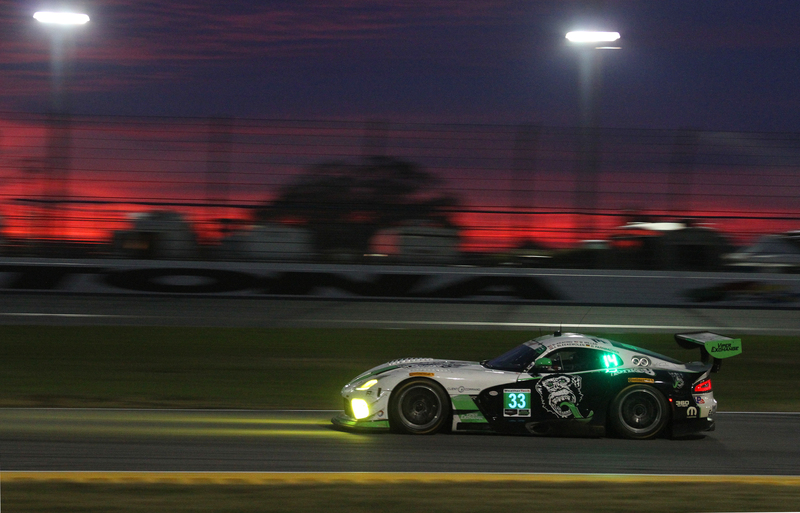 The two CCorvettes got by at about 8:52. 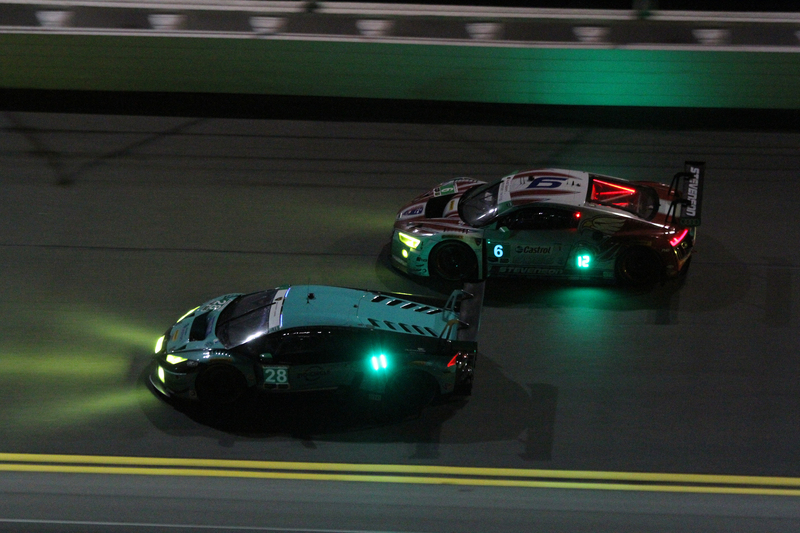 GTD is a contest between Porsche and Audi, with only the top two cars on the lead lap. Andy Laly in the #44 Magnus Racing Adi has a temporarily safe lead over Wolf Henzler in the #23 Seattle/AJR Porsche 911 GT3 R. Henzler’s mirrors are full of Jesse Krohn’s #97 Turner BMW M6 GT3. PC is the only class where only attrition can make a difference. 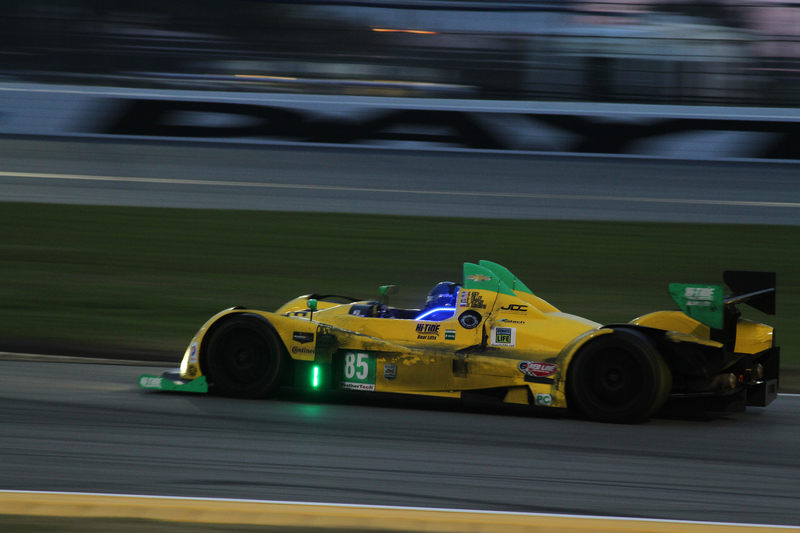 Misha Goikhberg in the #85 JDC-Miller Motorsports Oreca has an eleven lap lead; if he can keep it on the track and the team can keep it running, he and his co-drivers should win the class.